Hit the left mouse button to start firing on your enemies. 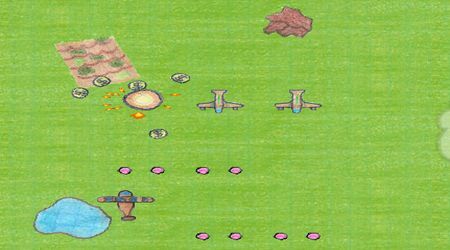 Collect coins that drop from your enemies to be able to buy some new planes and upgrades. 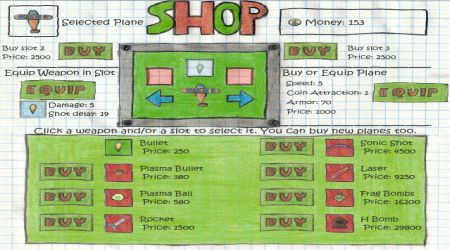 You can avail different stuff at the shop by clicking the SHOP button.